On April 26, 1822, landscape architect Frederick Law Olmsted was born in Hartford, Connecticut. New York City's Central Park is one of the largest urban public spaces in the country. Legendary landscape architect Frederick Law Olmsted incorporated wide lawns, twisting trails, wooded areas, and lakes into his innovative design. On April 26, 1822, Fredrick Law Olmsted was born in Hartford, Connecticut. Olmsted is often considered the “father of American landscape architecture,” having designed public spaces all over the country. 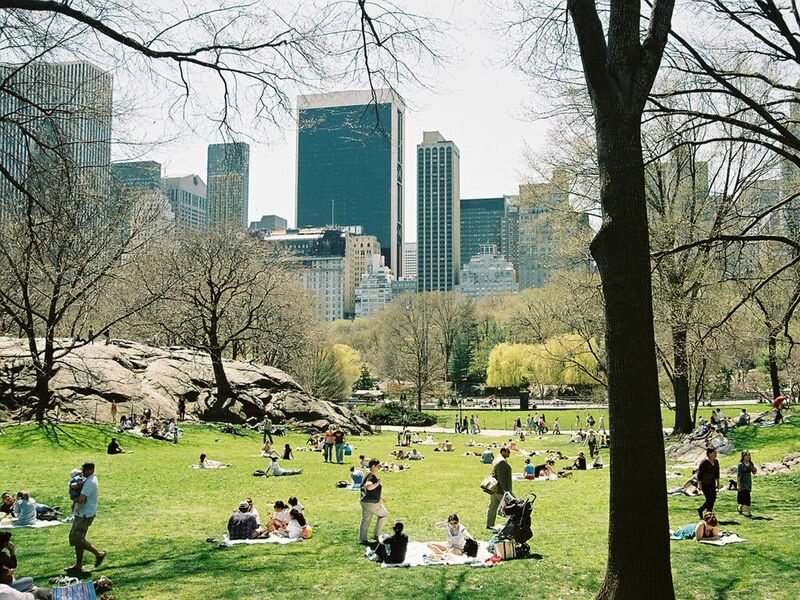 Olmsted’s most famous design is probably New York City’s Central Park, one of the largest urban parks in the country. Central Park displays many of Olmsted’s signature design elements: public “green space” accessible to everyone regardless of income or social class; a variety of landscapes, including trees, lawns, and lakes; and an emphasis on conservation of an area’s natural features. In addition to Central Park, Olmsted also designed the oldest state park in the U.S., Niagara Falls State Park in Niagara Falls, New York. His “Emerald Necklace” is a series of parks and waterways ringing the cities of Boston and Brookline, Massachusetts. Olmstead also designed college campuses, such as Stanford University in Palo Alto, California, and Auburn University in Auburn, Alabama. special stress or importance attached to something. person who plans, designs, and oversees the construction of open spaces such as gardens. unique identifying feature or characteristic.